The Excellent Boss, Google-Style Is Digital Distraction Killing Your Company’s Productivity? In mid-July, Amazon held its annual Prime Day, a shopping extravaganza where holders of Amazon Prime accounts get mega-deals on items ranging from the company’s popular Alexa voice assistant to Whole Foods strawberries. By all accounts, the event was a mega-event for Amazon’s bottom line as well, with an estimated $1.5 billion to $2 billion of sales in total during the 36-hour Prime Day. The company announced that sales on Prime Day 2018 exceeded those of Prime Day 2017. Last year’s was 30 hours long, so the comparison is not entirely apples-to-apples. Still, sales appeared to be very robust. Prime Day sales also exceeded the sales of the winter holiday season which until recently have been the retail industry’s busiest days, Black Friday and Cyber Monday. Amazon also announced that it had signed up a record number of new Prime customers, although it didn’t specify how many. Prime membership, which costs roughly $119 per year, provides customers with free shipping and access to multiple benefits and services. So Prime Day was a banner success. 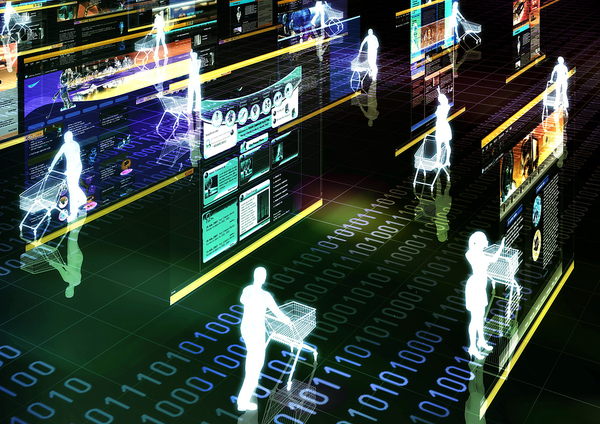 Does it have implications for digital retail beyond a blowout for one company? Prime Day may have led its competitors to offer deals and promotions during the period as well. Yes: It has many technology news implications. First, perhaps, is the ability of good deals to create something of a consumer buying holiday independent of any other associations. Traditionally, large buying days in the U.S. have been linked to holidays where gift-giving to other people was the driving rationale, if not the sole reason consumers purchased. Even China’s Singles Day, which was started by Chinese students to celebrate singles (rather than partnered couples), has always been linked to celebrations and parties associated with the day and single status. Singles Day is the largest shopping day in the world — but it is not all about shopping. Second, relatedly, several observers of this year’s Prime Day suggested that it may kick off a longer midyear-to-winter shopping season, by segueing into the back-to-school shopping season in the U.S., which then moves into the entire period of holiday shopping. Third, it has large implications for Amazon’s digital business strategy. Prime is important to the company for several reasons. Prime customers spend, on average, about $1,300 on the site per year, more than non-Prime customers spend. Prime membership also is one of the ways in which Amazon encourages repeat, subscription business. Prime Day suggests that Prime will continue to be central to the way Amazon does business, and it may suggest even more centrality in the future. Fourth, other retail businesses are increasingly becoming affected by Prime Day. Last year, some retailers offered deals during Prime Day in order to spur shopping and compete with Amazon. This year, retailers including Macy’s, Kohl’s, Target, and eBay offered sales and significant promotions, including free shopping for Target customers. Several retailers pointedly noted that no membership was necessary. Are the bottom lines of the other retailers being impacted, for good or for ill? It may be too soon to tell. The potential for both exist. Prime Day may drive sales so much that other retail sites benefit, or it may get the lion’s share, impacting other retailers negatively.